Imagine waking up in a hammock with the warm sun in your face, listening to the gentle waves and smelling fresh fruit in the air. Stepping out onto the ground, you see the honeyed tones of the beach as your feet move through the sand. You see the bright blues and greens of the sky and ocean as you make your way to the shore. And completing this picture of paradise is your favorite pair of Maui Jim sunglasses. 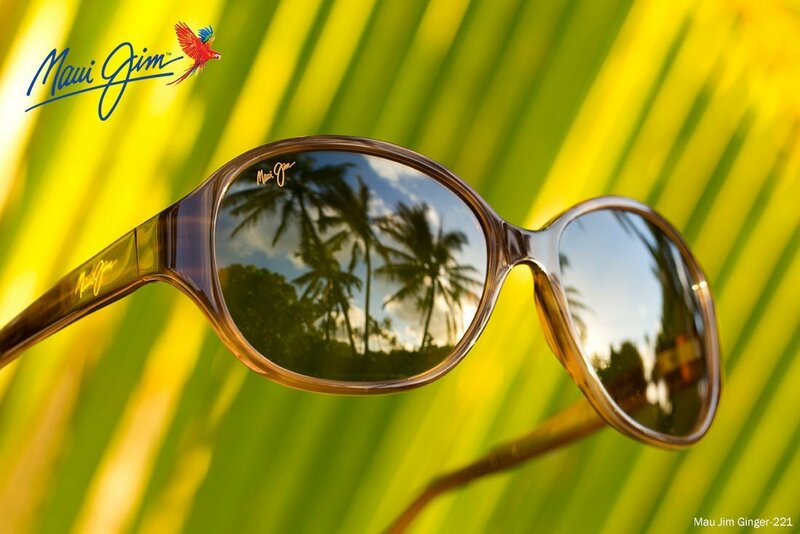 Maui Jim has perfected the art of polarized sunglasses—every pair includes lens treatments and coatings to provide an ideal visual experience in even the brightest conditions. Waterproof and oleophobic coating - Waterproof coating sheds water and snow, oleophobic treatment repels grease, making it easier to wipe away fingerprints and smudges. Anti-reflective treatments - To block reflected light and glare from behind, providing a clear view and preventing eye fatigue. Two scratch-resistant coatings - To perform better longer and offer more durability, added on the front and back of the lens. Polarized film - To eliminate 99.9% of glare from flat, smooth or shiny surfaces for a clean, crisp view, making it possible to see below the water's surface. Gradient mirror or tint treatments - To eliminate overhead and reflected glare, allowing light to pass through the lens. Color enhancing treatments - To enhance the view with distortion-free lenses, making colors brighter and more vibrant. 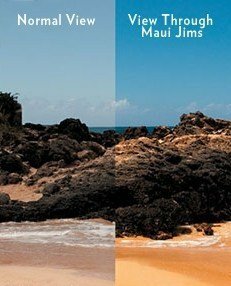 Maui Jim prescription sunglasses—with MauiPassport lenses in polycarbonate, Maui Evolution, or MauiBrilliant—offer clarity and impressive color perception in a tailor-made glare and UV blocking lens. Digitally surfaced lenses compensate for distortion due to prescription strength and other factors for an accurate lens with an increased field of view. 414N-Hapuna Universal Fit - Lightweight, semi-rimless Hapuna frames, made with grilamid for flexible strength. Part of the ‘Universal Fit’ collection, the adjustable nose pads create a secure, slip-free grip that adapts to fit for any face shape. 226-World Cup - A unisex wraparound nylon frame with evident Maui Jim style. They’re lightweight and durable, and more than ready to take on a day on the salty ocean water—or just kick back on the beach. 733-Swept Away - A glamorous, oversized women’s style in acetate. These colorful two-tone frames are perfect for a stroll by the water or brunch with the girls. The 773 Swept Away style is also available in prescription sunglasses. 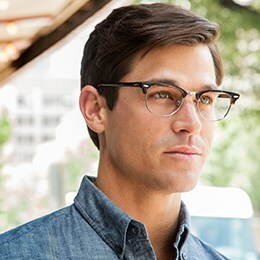 716-Frigate - Ultra-lightweight beta titanium frames are rugged and hypoallergenic. This style is perfect for everyday wear, but won’t shy away from a little hard work, either. 786-Lava Tube - Aviator-inspired, square-shaped titanium frames with a double bridge. Your commute has never looked better. 751-Honey Girl - Full rim, chunky acetate frame for women. Honey Girl brings together the best of the best with rounded edges and a subtle upswept cats eye. This style is also available with distortion-free prescription lenses. 103-Stingray - Sleek, rectangular-shaped frames made of a strong, lightweight propionate with a high-gloss finish, perfect for relaxing near the water or driving. And if you need a prescription, see your best with the 103-Stingray Prescription Sunglasses. 407-Ho Okipa - Semi-rimless, durable grilamid frames with bending strength so they will retain their shape and rubber nose pads for comfort. They are named after the Hawaiian word for hospitality. Wear them during fast-action sports or out on the water. A rimless version is available in the 907-Ho Okipa Prescription Sunglasses. 246-Wiki Wiki - Men's square aviators made of pure titanium for lightweight comfort with no-slip silicone nose pads, perfect for activities on land and on the water, but won’t feel out of place at a more formal affair. You can also add a prescription with the 246-Wiki Wiki Prescription Sunglasses. 326-Freight Trains - Square aviators made of MauiFlex memory metal, a material that remembers the fit and shape of the frames longer than traditional metal. They are perfect for driving or lounging on the beach or in the water. Block UV rays and glare with the protection offered by Maui Jim’s PolarizedPlus2 lenses for better clarity on the water or behind the wheel. Or, get the clearest, widest field of view with MauiPassport prescription lenses. There’s a lens tint for every activity, and specialized treatments give these lenses an easy advantage, so find your perfect Maui Jims now, and get more out of each adventure.